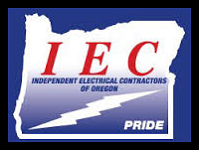 Full-Service Licensed and Bonded Electrical Contracting Firm. UL 508A listed Industrial Control Panel Shop with complete facilities for design, construction and testing of custom panels, operator consoles and displays. FOR YOUR ELECTRICAL & CONTROL NEEDS - CONTACT US !